In the studio shop is a handmade Alvarez DY51 sporting a solid cedar top and some beautiful burled mahogany back and sides. The guitar has a classic Martin Guitar dreadnought shape and its construction mimics Martin’s clean and precise construction. What gives this guitar the distinction it deserves? Kazuo Yairi was one of the best, well known, and accomplished luthiers in Japan. 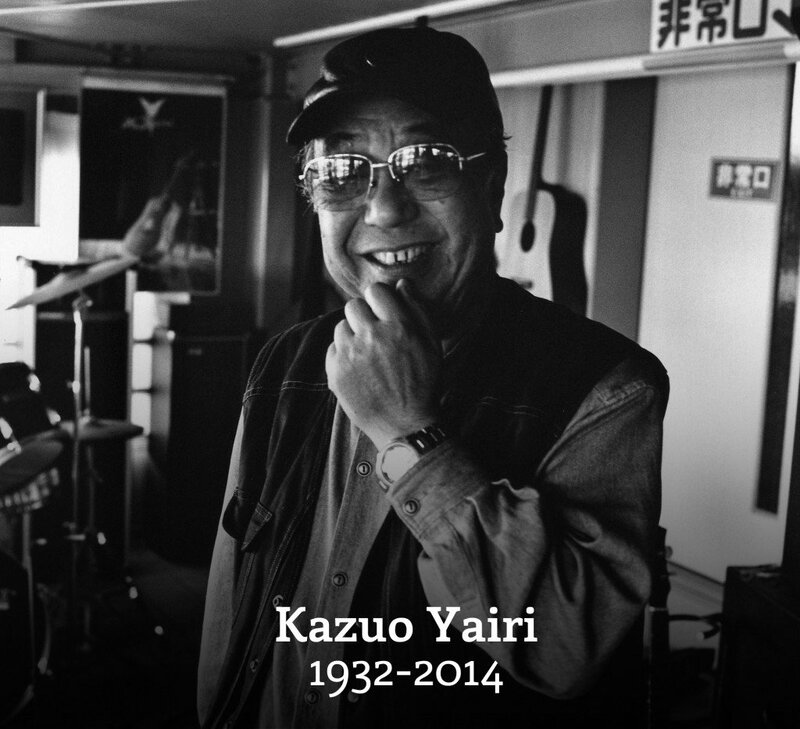 Recently deceased, he helped put Alvarez guitar on the map with his collaboration and handcrafted work for the well known Japanese guitar manufacturer. 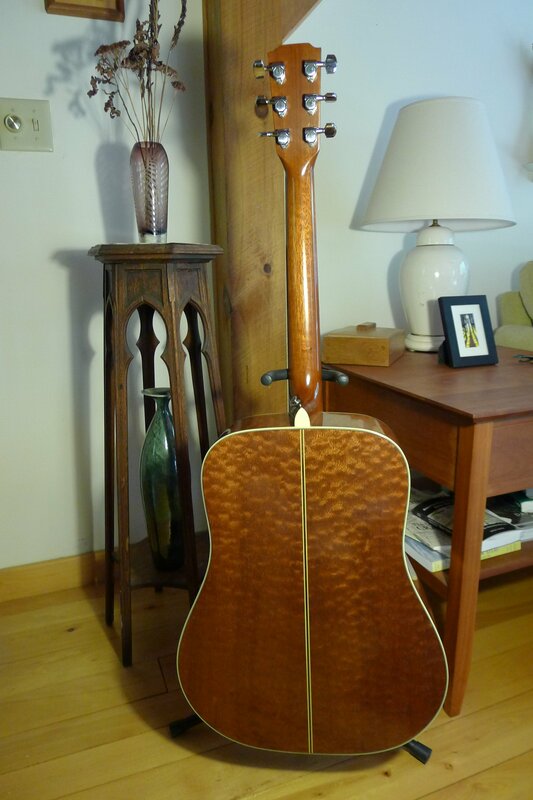 Using fine woods and designs that obviously copied major manufacturers here at home, his guitars rival some of the best acoustic guitars produced by Gibson, Guild, and Martin. This guitar needed very little done in the way of a set up for playability. The mahogany neck has a very comfortable feel and the fret work is outstanding. This big dreadnought is one of the easiest guitars I have ever played! 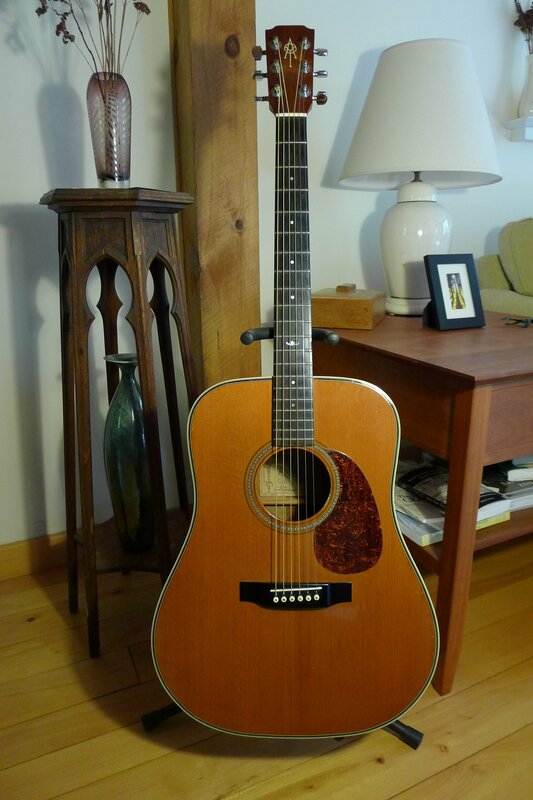 The solid cedar top and laminated back and sides may not project with quite the punch and volume that others do, but I can forgive that considering it is so comfortable to play, pretty to look at, and terrific sounding.